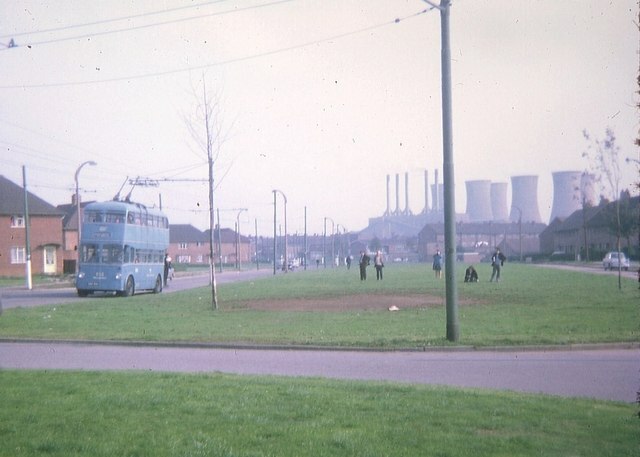 Pictured in Stephenson Avenue, Walsall trolleybus 850 (HBE541) is on a private trip. The power station chimneys in the right background disappeared somewhile ago. This page has been viewed about 513 times.